About the Book: Experimental incidents such as these paved the way for crucial medical discoveries and lifesaving cures and procedures. But they also violated the rights of their subjects, many of whom did not give their consent to the experiments. The subjects suffered excruciating pain and humiliation. Some even died as a result of the procedures. Even in the twenty-first century—despite laws, regulations, and ethical conventions—the tension between medical experimentation and patient rights continues. How do doctors balance the need to test new medicines and procedures with their ethical and moral duty to protect the rights of human subjects? What price has been paid for medical knowledge? 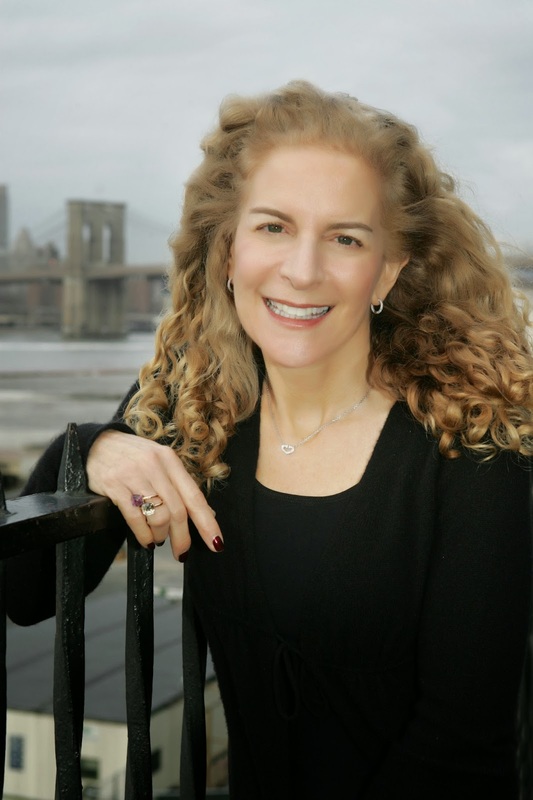 Can we learn from the broken oaths of the past? The words that first come to mind are anger and sorrow—anger at those in the medical community who humiliated, caused pain, and even death to so many people, and sorrow for the subjects and their families. 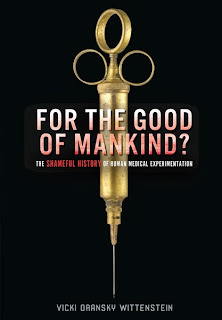 Before I began my research, I had no idea that so many scientists and doctors experimented freely on marginalized people like orphans, the mentally ill, and prisoners, without their voluntary consent. The sheer numbers of unethical experiments shocked me. Also, as a former Assistant District Attorney, terrible injustices spur me to act. I felt compelled to tell young people about these experiments. The stories of those who suffered needed to be heard. I also saw the topic as a unique way for young people to learn history. 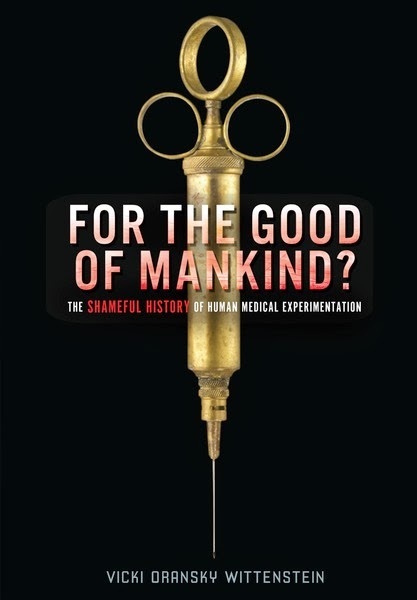 Doctors have always conducted human medical experimentation, from ancient times through the present, so the experiments performed often reflected the ethics and morality of the particular historical period. For example, readers will learn about African American slaves who were bought just for purposes of experimentation, the U.S. government’s secret radiation experiments during the Cold War, the enactment of laws to protect subjects in the aftermath of the Civil Rights Movement, and the ethical concerns surrounding clinical trials, stem cell research and genetic therapies today. As in most things in life, medical experimentation is a balance. Doctors continually strive to find new treatments and cures, which cannot occur without experimentation. How can we balance the individual’s right to be free from harm with society’s interest in medical advancement? As Eva Mozes Kor, a Holocaust survivor and subject of Dr. Joseph Mengele’s twin experiments at Auschwitz wrote, doctors must never forsake humanity in their quest for understanding science. Young people today—no matter what career they end up pursuing—will be faced with lots of moral decisions. I hope this book challenges them to debate the issues of their day. Want to win a copy? Leave a comment below for your chance to win! Thanks, Sarah! I hope librarians, teachers and students will enjoy reading the book. I would like to add this to our library! I have always been horrified at the casual way people classify others as "less" than they themselves are, thereby justifying such appalling practices. I would love to be able to add this to our collection as a resource for exposing the practice to my patrons. I'm intrigued... can't wait to read it!